Once you’ve established your business nationally, the next step might be to sell your product internationally. Despite the daunting task of taking your business global, new borders mean new opportunities, new markets, and new revenue streams, all of which can be a boon to your bottom line. International expansion cannot happen overnight, however. Such a move requires plenty of research and planning. Answer the following to determine if your business is ready to go global. Where is your target international market? If you need help determining the best option for expansion, start with a country that will likely love your product. Do you frequently receive emails asking if you ship to a particular location outside the U.S.? You may have a growing fan base in that country. This low-hanging fruit can help boost initial sales and spur greater long-term growth. It can be tempting to open your business up to all international markets at once, but tackling one country at a time can help improve your chances of successfully navigating tax codes and language barriers. Learning foreign tax codes can be challenging by itself, but don’t overlook how your newfound income will be taxed domestically. The United States taxes international income, and the IRS has special reporting requirements for this kind of revenue. Expanding to one foreign country is the best way to dip your toes into the international market, and it will help ensure you fully understand what’s involved with globalizing your business. If you’re not entirely comfortable with a second language, it can be much easier to begin with a country that speaks English. Otherwise, you need to prepare a translated website, develop marketing collateral, and even change the language on your packing slips. How will you budget for international expansion? When you’re going global and entering a new market, more often than not, you’re going to be dealing with a new currency. While you can budget for different international exchange rates, it can also be beneficial to work with a foreign currency transfer service provider. This saves your business money by avoiding the international costs of sending and receiving money from a national bank. If you plan to keep your business in one country, but eventually plan to send products to other countries, a foreign currency transfer service provider can assist with moving your revenue from customers in a foreign market back to your business’s home currency. It’s important to know that almost every country can have their own exchange rate fluctuations, and while you can try to predict these fluctuations, it’s almost impossible to accurately budget for everything. Be sure to research international shipping options as well. Choosing the right shipping method not only saves you time but can help you avoid delivery delays that can irritate customers and prevent them from buying from you again. It’s always a good idea to have a little extra wiggle room in your financial plan to accommodate the unforeseen costs that often come with growth of any type. How will you enter the new markets? Once you’ve identified which new country you want to enter and have developed a flexible budget to do so, you’ll need to make sure you have a marketing plan to help guide your success. Just as you would for a new domestic market, you’ll want to develop a new marketing strategy for your new market. It’s important that this plan be different than your domestic strategy, but also similar enough that your brand identity remains consistent everywhere. When you’re ready to expand to new countries with new languages, you’ll want to explore ways to make sure your company remains personable. Start by searching for a translator who understands your mission, vision and values and can update your website and new marketing materials accordingly. Part of your strategy should be researching the new market and understanding their popular methods of communication and commonly used expressions. An example of this would be Lays Potato chips using the brand name “Smiths” in Australia. While the logo and branding stay consistent across all markets, the local culture impacts the messaging. 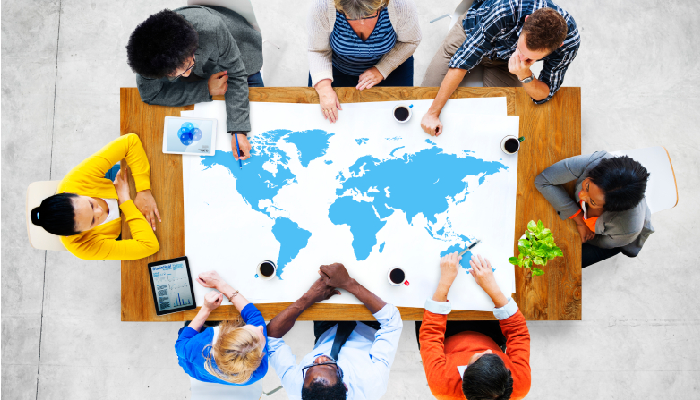 Still struggling to evaluate international opportunities for your small business? Contact a SCORE mentor. Many of our volunteers have done business around the world and can provide experienced insight for your unique situation.